It’s not that cold yet. It was fine at the end of the last heating season. Lay off, man—I like to live dangerously. Whatever your excuse for not scheduling your routine, annual heating maintenance, it’s just not good enough. How do we know? Because we’ve heard ’em all before, and they’re almost always explained to us by homeowners in need of heating repairs right when they actually need their heaters the most. That is why we’re here to say that heating maintenance is just another one of those HVAC services in Alexandria, VA we happen to excel at. And if you want your heater to excel in its operation, regardless of what type of heater you use, then you need to take advantage of this service. It is no exaggeration when we say there is literally nothing better that you can do for your system, so call now. Money talks, they say, which is why we think this is as good of a place to start as any when it comes to your heating maintenance needs. 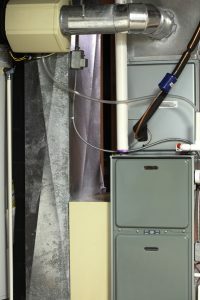 Simply put, a heater that is not well-maintained is not a heater that is going to function as well as it possibly can. And, as is the case with any heater fighting such an uphill battle, you’ll see this reflected in the cost of running the system. Not only will you keep your energy costs in check with reduced utility bills due to an increase in energy efficiency, but you’ll also be able to cut back on repair needs. No, scheduling annual heating maintenance is not going to make your heater impervious to operational issues. However, it will help your system function as reliably as possible, leaving you on the hook for fewer repair costs. You know what really stinks? Not only paying more in order to run your heater, but getting less in return! Alas, that is the future that awaits if you fail to schedule annual heating maintenance with professionals you can trust. Any issue with your heater, even those you’d think are “minor,” are going to result in the weakening of your heater’s performance quality. If you want to get the most for your money, then spending a little bit of money on routine heating maintenance will go a long way. While we may not have the most extreme winter weather in the country around here, it is more than enough to mandate a great heating performance. And that’s impossible if your heater isn’t in the best working condition. … While Shortening System Lifespan? Annual heating maintenance may not be the most exciting to spend your money, but it’s also not one of the most infuriating. The same cannot be said for replacing a heater prematurely just because you knowingly denied it the tune-ups that it needed to succeed. Every time you skip maintenanc, you are shaving some time off of your system’s lifespan. You and your heater deserve better. Schedule your heating maintenance with Polar Bear Air Conditioning & Heating Inc.